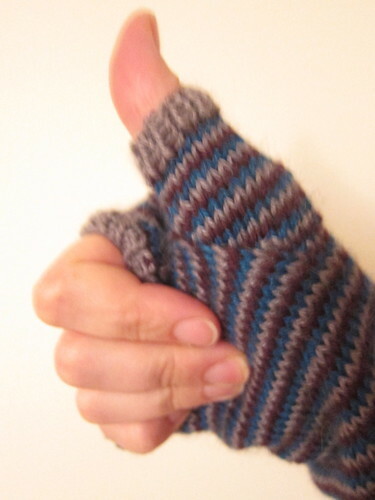 I knit a thumb hole! It was hard and I ripped portions of this hand warmer out several times prior to being happy with it, but I successfully knit a hand warmer with a thumb hole. 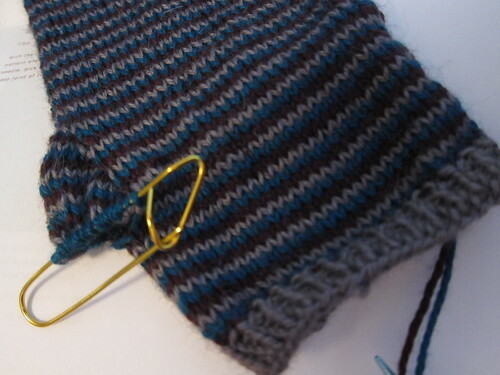 I used the tutorial on Purl Bee for the Long Striped Hand Warmers, but instead of two colors I used three. I also didn’t make the write as long as the tutorial (mine was six inches rather than the eight recommended). I was slightly scared to use the stitch holder and then have to pick up the stitches later. I printed the directions and kept them in the bag with my yarn, which worked out great. I didn’t have the energy to start the next one, but as the bf pointed out, I have a while until it is needed. 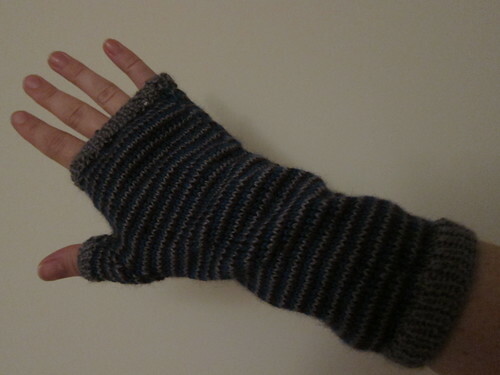 This entry was posted in Crafting and tagged hand warmers, Knitting, Purl Bee. Bookmark the permalink. Winter IS coming. We should learn how to do gloves. Challenge accepted.